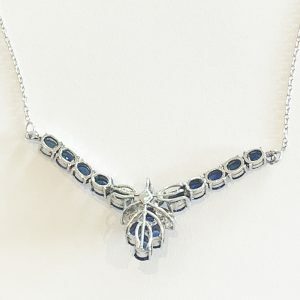 Art Deco Necklace of Palladium and 10KT White Gold. Finely facetted Blue Sapphires and Diamonds, set to the Palladium Pendant. Palladium is a rare metal, going back to discovery in 1802, and similar to Platinum. 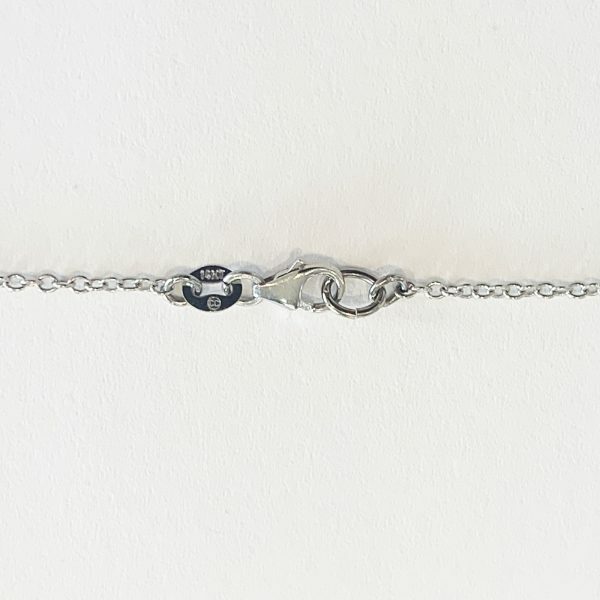 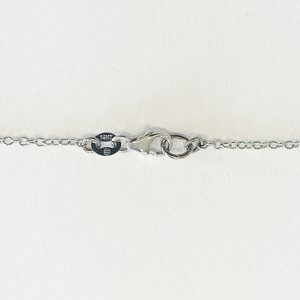 The chain near the original Lobster Claw clasp is hallmarked “14KT” being the mark for the white Gold Chain and clasp components. 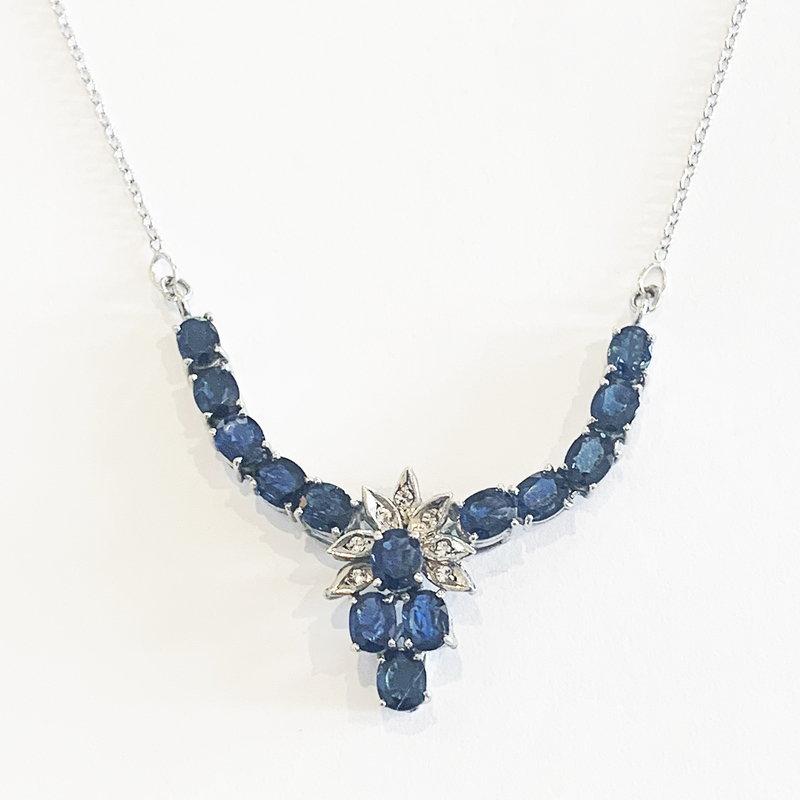 A fantastic, fine design, incorporating 5 blue sapphires set to the Palladium at each side of the pendant, another 4 at the centre, in a stepped design, with a crown at the top with a “fan” of 7 Diamonds in Palladium; a real statement piece. 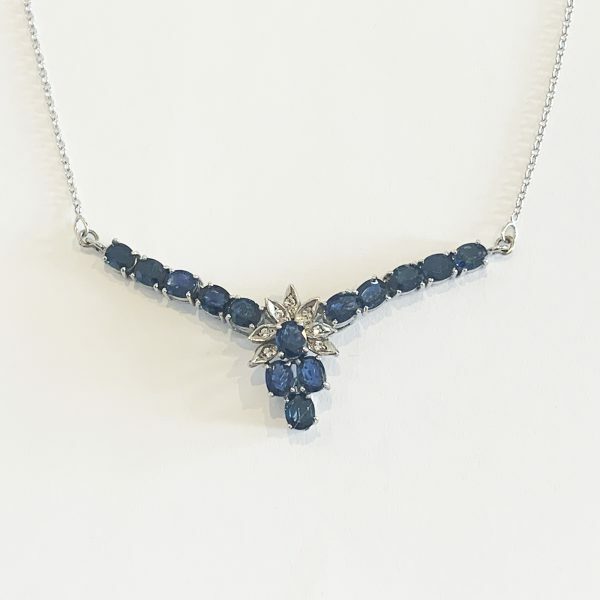 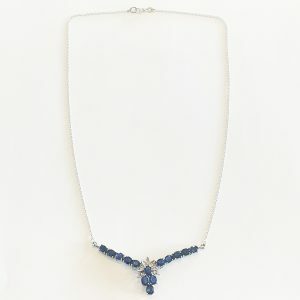 The chain of Sapphires at each side, are Hinge mounted so the gems can curve to follow the fall of the chain, instead of a rigid pendant, and the chain having a “kink” where the chin starts; high quality and extremely well designed. 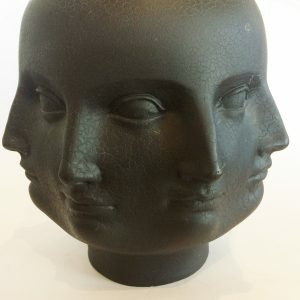 All in excellent condition with no losses or repairs, (effectively “MINT” condition). Dimensions are approx..: Overall length is 48cm; Central pendant of 4 Sapphires and diamonds is 2cm high x 1.2cm wide, with each arm of Sapphires 2.8cm each side. U.S.A.. Circa 1930’s.